What’s not to love about the ritual of coffee and brunch? We are Cult Espresso, a bunch of coffee nerds who love the community we’ve settled into, it just wouldn’t be as much fun without you. 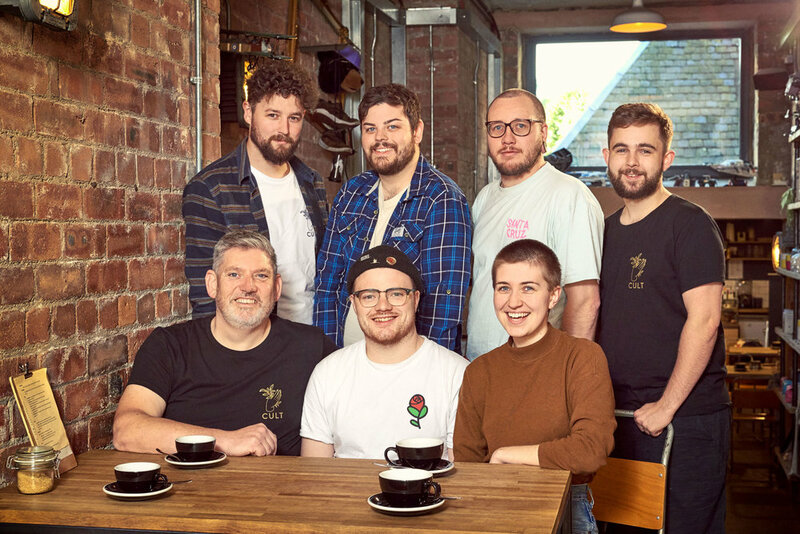 Whilst our approach is still to source and serve some of the best coffees the world over, we’ve made a little bit of room for teas & food of just as high quality. We’ll always be here serving products we’re proud of because we believe our cult deserves nothing but the best. Coffee is our passion, with regular espresso and filter coffees from Round Hill Roastery in East Somerset. We also feature a wide selection of seasonal guest coffees from some of the top roasteries in the UK and Europe, on espresso and in our brew bar. Please check out our Instagram Facebook, Twitter for our current featured coffee. We also sell a selection of loose leaf teas from local Edinburgh based supplier, Rosevear. For something cool and refreshing we serve freshly made smoothies, juices, lemonade and cola. We serve a selection of cakes and sweet treats, changing daily, supplied fresh by some of our favourite bakers across Edinburgh.